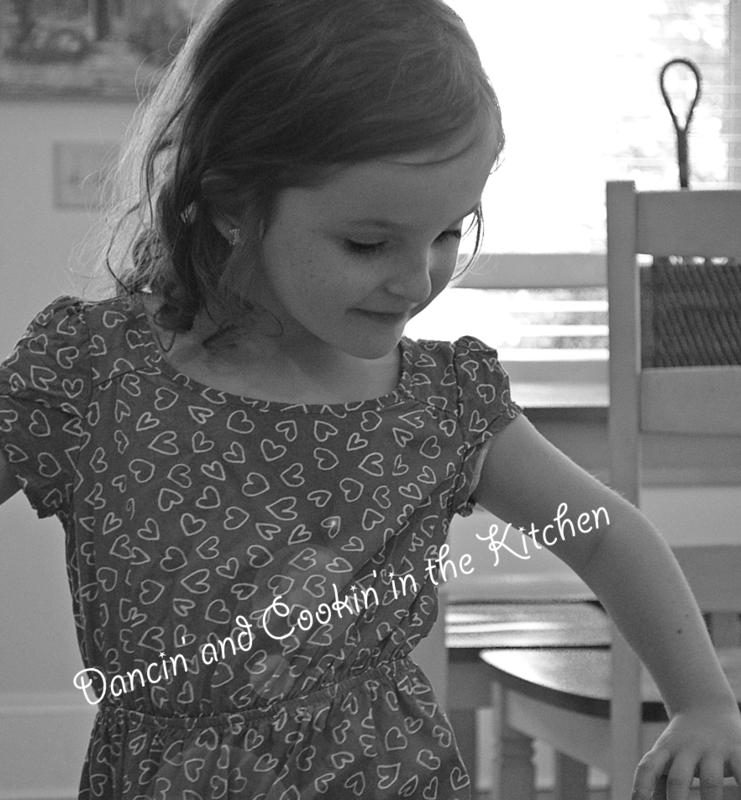 Red Beans and Rice – Dancin' and Cookin' in the Kitchen! About 2 years ago, my husband’s Grandfather was quite ill, and getting older and asked us to come visit him and spend time with him. Since my husband has a job where he can work from home, we had the freedom to go down to Panama City Beach, FL and spend time with him and some of my husband’s other family for an extended period of time. It was so bittersweet; while we were there, my husband’s granddad passed away. The sweet part is that we were there, we got to express how much we truly loved him… AND my children really got to build memories with their great granddad. They will always remember that time there with him, and connect that place with him. I will always be grateful and glad for that time that we set aside to make him feel loved… and build those memories. All that to say, while we were there, there was a hurricane warning… we decided to evacuate. The safest place at the time was New Orleans! (This was the hurricane that just PUMMELED southern Florida.) So, we evacuated to New Orleans, just to be safe, and got to visit that amazing city! We stayed in the Garden District, and tasted the food, took in the history and the sights and really got to experience New Orleans for about 4 days. Our kids LOVED it! We rode the trolley from our hotel in the Garden District all over the city. We went to the Zoo, got beignets, had chicory coffee for the first time, heard live music… it was incredible! One thing we took home with us was our love for the cajun food. We visited Emeril’s restaurant one night while we were there (Which, by the way, if you ever go to New Orleans… TRY to get in there, it was OUT OF THIS WORLD!) and tried Red Beans and Rice! I know… not something new to a lot of people out there… but it was new to me! I had heard of gumbo and jambalaya before… but this was new. I had to figure out a way to make this at home! So… I did adapt it and made it my own! I just couldn’t take the HOURS AND HOURS that they take to make it, so I modified and made my own quick version. Their version is of course a bit more rich and refined… but mine is DEFINITELY delicious. My husband loves this dish so much, he requests it about 1x per week. I don’t make it THAT often, but I try to about once or twice a month. You can also adjust the spiciness to whatever you desire. This is a good one! The finished product… not the prettiest, but definitely some of the most delicious! While I write out this recipe… I will probably tell you MANY different optional things. For one… I used pinto beans this time I made it, so that will be in the ingredient list. Sometimes I use literal “red beans”. It’s so hard, because depending on which grocery store you go to, will really determine whether or not they have the beans I want. I’ve used canellini beans, black beans, etc. I am not a fan of kidney beans… too thick of skin… but if you like them and have an extra can already, use them! I prefer, for this dish, to use beans that are lighter in color and have thinner skin. They break down a bit easier and help thicken up the dish quicker that way. Another thing that I change out is the type of pork I use. Sometimes I change it each time I make it. Sometimes I put bacon in when I am sauteeing the onions and garlic. Sometimes I precook it and sprinkle it on top after I am done. SOMETIMES I don’t add any bacon… like this time. No Bacon. Sometimes I use turkey kielbasa, sometimes I use Andouille sausage, sometimes I use both. The thing I like about it is that I can make it taste delicious no matter how I change it up. I like to try and use what I already have. So…. that’s kind of a quick note on this recipe. Let me know if you have any questions! ** You can use 2 links andouille, and 1/2 of a turkey kielbasa… OR just kielbasa as well! Heat the oil in a large saucepan over medium-high heat. Saute the onions (and chopped up bacon if you choose to use it), bell peppers,and seasonings, for about 5 minutes. Add the bay leaves, ham, and sausage and saute for 5 to 6 minutes. Add the beans, garlic, and enough chicken broth to cover the contents in the pot. Bring to a boil. Reduce the heat to medium and simmer, uncovered, stirring occasionally while it thickens. While you are stirring, use your spoon to mash some (about half) of the beans against the side and bottom of the pot. When it starts to thicken, as it gets to the point of thickness of the picture below (where when you drag your spoon across the bottom of the pan, and it takes a moment to slide back together) add another 1/2 cup of broth. Keep adding until you’ve used the entire quart of chicken broth. Once you’ve used the entire quart, you can continue to cook and add water as it thickens as long as you’d like up to 2 hours. That will produce a thicker, darker and richer result. I usually only cook mine until I’ve used up my entire quart plus 1/2 cup of water. That takes about 45 minutes and serves 4-5 people, depending on how many times people go back for seconds! Remove the bay leaves and serve over steamed rice. I’ve been listening to a lot of Carrie Underwood lately… so I had to post this song! This entry was posted in Main Dish, Mid-day and tagged cajun, dinner, quick, red beans, rice, spicy. Bookmark the permalink.